The UHO-HBPS-10 is a smartly styled and designed housing from Bosch that is ideally suited to be used for outdoor environments. The UHO-HBPS-10 housing comes with tamper resistant properties, self cleaning glass, and a continuous low power window defroster, a 1 x rear fitting, a strong aluminum construction, as well as an additional heater, and a side hinged opening. The UHO-HBPS-10 smartly styled housing also features cable routing through rear/base of housing, a removable camera and lens tray, a wide operating temperature, plus an IP66 NEMA-4X enclosure rating, and blower/heater and sunshield. 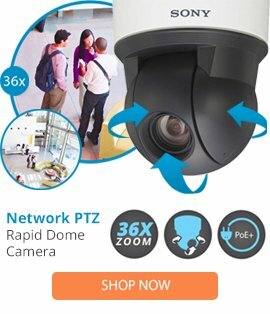 This high performance security camera is able to offer use within many temperature ranges with its blower/heater, and comes complete with a gray colored finish, and protection for camera and lens combinations of up to 262mm in length.